Send a message. Say hello. I'd love to hear from you -- thoughts, comments, questions on writing or life in Alaska and anything in between. Elyse Guttenberg is an Alaskan author. Her novels include the fantasy SUNDER, ECLIPSE and SEED and two Alaskan prehistories SUMMER LIGHT, and DAUGHTER of the SHAMAN, and other work. 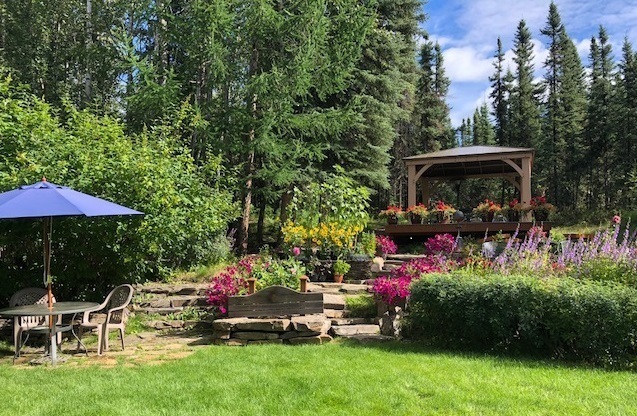 She lives on twenty acres of permafrost in a home she and her husband built themselves, from clearing the land with chainsaws, to (eventually) bringing in electricity and water. and when I’m not writing, i’m building my yard, stone by stone.